Lauren Rabinovitz is a Research Associate at the Georgetown Center for Child and Human Development, Early Childhood Division. Currently she is working on an evaluation and professional development project with the Department of Health in DC on Home Visiting. Previously Lauren was the coordinator of an online Mental Health Consultation Professional Development Continuum as part of the National Center on Health funded by Head Start. She was also the project lead of a multimedia trauma-informed care resource tool for national dissemination and the coordinator of a secondary data analysis of a five year waiver funded by the Centers for Medicaid and Medicare on community alternatives to psychiatric residential treatment centers for youth. Ms. Rabinovitz brings a unique perspective to policy and research at the Center based on many years of clinical experience. She has worked as a Clinical Case Manager in the District of Columbia Foster Care System and as a Mental Health Consultant at the University of Maryland School of Medicine, Center for Infant Study providing expertise to families and program staff at the largest Head Start in Baltimore City regarding children’s mental health. 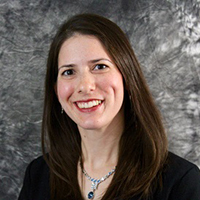 Ms. Rabinovitz is a Licensed Clinical Social Worker with specialized training in Early Childhood Mental Health. She studied Psychology at the University of Maryland, College Park, Clinical Social Work at the University of Maryland School of Social Work in Baltimore and Maternal and Child Health at The George Washington University’s School of Public Health and Health Services. She is passionate about the intersection of population health and early childhood. Ms. Rabinovitz can be reached at lar99@georgetown.edu. Rabinovitz, L., Kaye, S., Aquino, A.K., & Perry, D.F. (2016). Challenges to retaining participants in evidence-based home visiting programs: A review of the literature. Report on emotional & behavioral disorders in youth, 16(3), 55-63. Elias, E., Leopold, A., Mete, M., Peters, S., Petras, H., Rabinovitz, L., Vanskike, E. (2014). Outcomes from Community Alternatives to Psychiatric Residential Treatment Facilities Waiver Demonstration. Report. Washington, DC: DC: Georgetown University Center for Child and Human Development, National Technical Assistance Center for Children’s Mental Health. Report. Rabinovitz, L.A. (2013). Process Evaluation of Healthy Futures, an Early Childhood Mental Health Consultation Program in the District of Columbia. (Master’s Thesis). Wotring, J.R., O’Grady, K.A., Anthony, B.J., Le, L.T., Rabinovitz, L.A., Yoon, I.S., Rotto, K. (2014). Behavioral health for children, youth and families in the District of Columbia: A review of prevalence, service utilization, barriers, and recommendations. Washington, DC: Georgetown University Center for Child and Human Development, National Technical Assistance Center for Children’s Mental Health. Report.